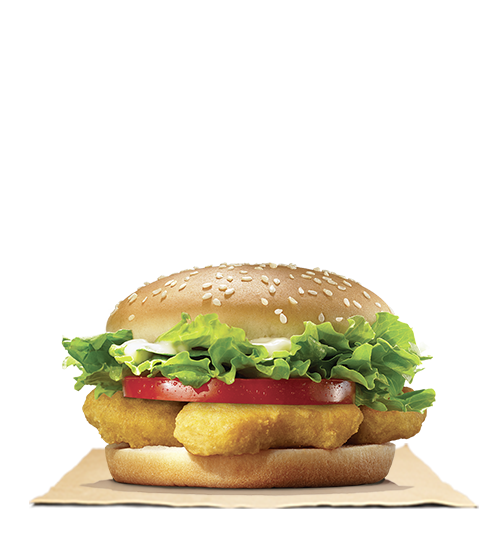 Chicken fillet, generously breaded with homemade seasoning and carefully layered with iceberg lettuce, ripe tomatoes, and creamy mayonnaise. Served in a corn dusted bun. Chicken fillet, generously breaded with homemade seasoning and carefully layered with iceberg lettuce, ripe tomatoes, and creamy mayonnaise topped with our sweet and smoky barbeque sauce with thick cut smoked bacon and melted cheese. Served in a corn dusted bun. 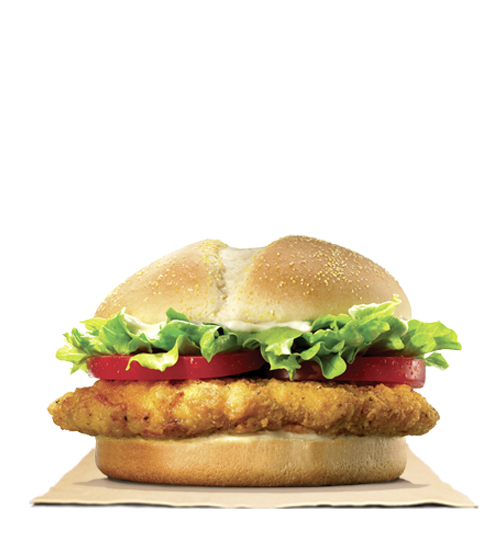 Tasty chicken burger wrapped in a special crisp coating, topped with iceberg lettuce, creamy mayonnaise and crowned with a toasted sesame seed bun. Α juicy premium white meat chicken fillet carefully layered with shredded iceberg lettuce, ripe tomatoes, and creamy mayonnaise. Served in a corn dusted bun. 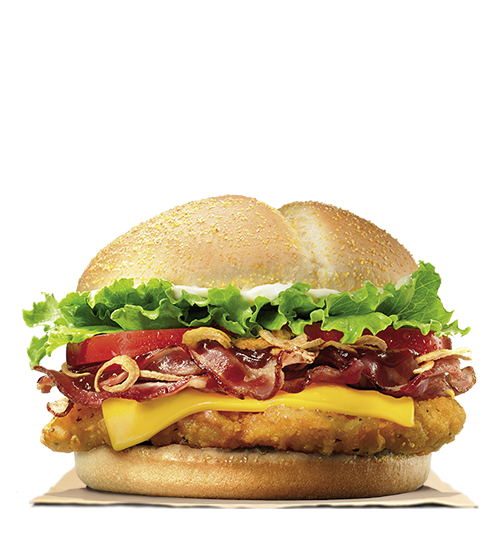 Α juicy premium white meat chicken fillet topped with bacon, cheese, crispy onion, Western BBQ sauce, iceberg lettuce, creamy mayonnaise and tomato. Served in a corn dusted bun.